Well, it's October and the gaming events are still aplenty this month and next. Do yourself a favor and get away from your regularly scheduled life, and get out to a gameday or even a small convention. If it includes a drive up into Wisconsin, the Fall colors will be an added bonus. 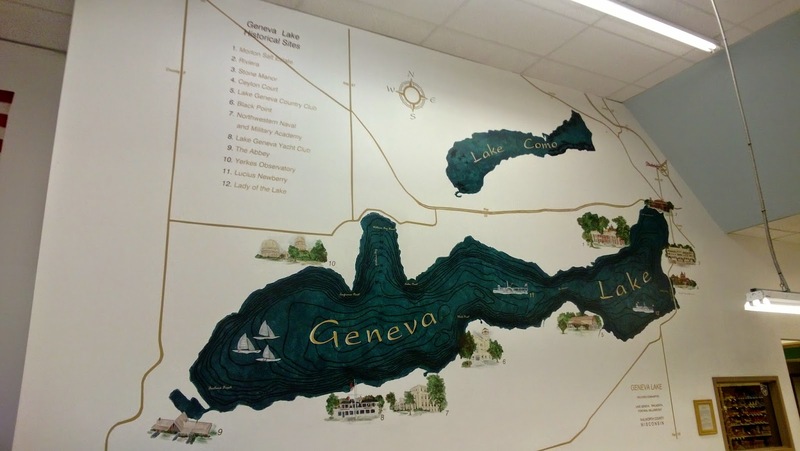 Let me mention right up front that this Saturday there is a gameday at Lake Geneva Games. There will be a bit of everything including some RPGing in Next and 1E AD&D, some wargaming in the form of 40K, and plenty of boardgaming. Don't let the schedule fool you, there is always a bit more room to add another boardgame to the mix. See more here and on Facebook here. 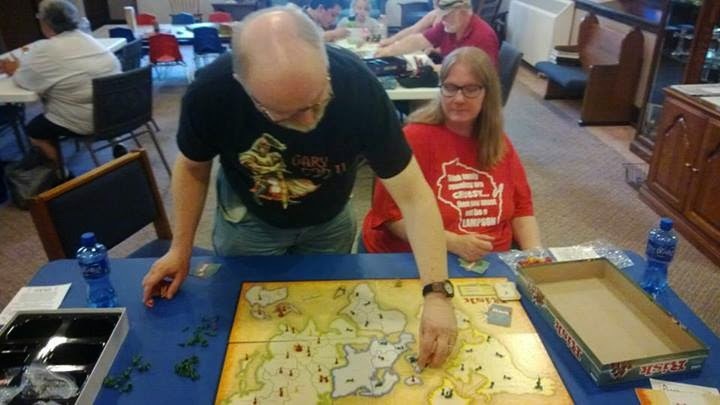 The second weekend of October includes Northeast Wisconsin Gameapalooza, the spiritual successor to OshCon. You can find the NEWGame website here and Facebook page here. They are growing fast and have an excellent arrangement for plenty of inexpensive lodgings, as long as you don't mind revisiting dorm life. I'm going to make the trip up and run a Saturday evening 1E AD&D game for those who would like to join me. It's first come first serve but I've run games for over a dozen folks plenty of time so don't worry about getting a seat or a pregenerated 5th-level character. Don't forget that October 16th, the "Thor'd Thors'day" of October, is the monthly Game Like a Viking Day! It's a chance, no matter where you are, to break out your Viking-themed tabletop games and have at it. See more of this ongoing monthly day of fun on the Facebook page here. The third Saturday and Sunday of October, and indeed almost every month, includes the Burlington Gameday on Saturday, October 18th which sets up events through the Burlington UCC Game Day group on Facebook here and A Gathering of Gamers on Sunday, October 19th, set up by the South Lakes Area Gamers here. The former is in Burlington, WI at the Plymouth UCC space and is free taking place from approximately 11 am to 5 pm. The latter takes place at the Pizza Ranch in Elkhorn, WI, and requires a $12 fee for the all you can eat pizza and fried chicken buffet (salad bar, soft-serve ice cream machine, etc.) plus unlimited soft drinks and coffee from 11 am to 8 pm. The last week of the month, beginning on my B-Day, October 24th, and stretching through Halloween, is what folks in the know refer to as Marktoberfest. It's eight days of fun and gaming and I'll have more on that as we get closer to its arrival. It's gonna be lots of fun! So, what's up everywhere else? LOTS! October 3rd to 5th, it's Xenocon in the Quad Cities with more info found here. Check out Con on the Cob, on the 16th through the 19th in Hudson, Ohio, "a Four Day Celebration of Games, Art, Freaks, & Fun!". October 11, 12, and 13th, including Columbus Day, which is that Monday, you can game at Trident Con in Odenton, MD, the details of which can be located here. BobCon happens in Kansas City, MO, October 24-26 and more info is found here. Dan's Con of the Vale happens October 24th to 26th in Brookfield, WI, and you can get more information on that here. Tyler Rose City Comic Con, October 25-26 in Tyler Texas. Both Mike Stewart and James M. Ward are guests and will be running games that weekend. Visit the Vermont Comic Con website to find out what gaming is happening there from October 25th to 26th. There's some gaming to be had at Rhode Island Comic Con which begins November 1st at 10 am and runs through November 2 until 5:00 pm at the Rhode Island Convention Center in Providence, Rhode Island 02903. Also in November, check out U-Con in Ann Arbor, MI, and GameHole Con in Madison, WI. November 7-9 at the Killington Grand Resort, Canage on the Mountain present A Fist Full of Carnage. TsunamiCon 2014, happening November 7th-9th, has hit their Kickstarter goal (and has a few days left to get on board here) and takes place at the Hotel at Old Town in Wichita, KS. The HavenCon Games Day is being held at the Urbana Volunteer Fire Department Banquet Hall in Frederick, MD, Saturday, November 15, from 10 am to 10 pm.